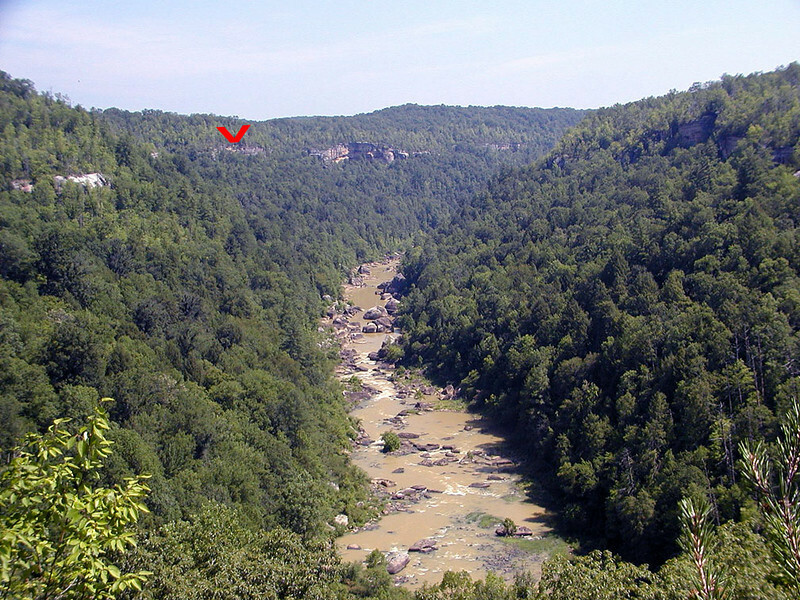 The red arrow indicates the bluff line of the Cumberland Plateau. The entire area is like this. They'd be called canyons out west, but here they are called gorges or gulfs.